The state in which I reside has hot summers often exceeding 100 degrees for several days at a time. May people are heavily dependent on their air conditioners. I have to admit I enjoy mine. One thing I have noticed lately is that because people use their air conditioners they do not maintain their window screens. I have noticed that a lot of them are missing or damaged. 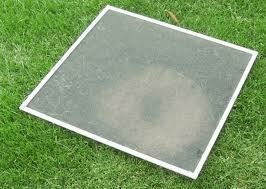 If the power fails and you have to leave your windows open, window screens become very important. Control of flies, mosquitoes and other flying insects can prevent many health hazards. When I was a child, we lived in Southern Africa and there were no window screens. Flies were thick and a constant problem. I can remember my mother going to the butcher shop and the meat would be hanging up covered in flies. The butcher would shoo the flies away and cut your choice of meat. My mother would then take it home, wash it and cook it before the maggots would hatch. We survived this and are still all healthy. However today’s generation has not had the exposure to disease and lack of sanitation that mine had. They may not have the immunities that we had. Simple things like maintaining your window screens and having the materials to repair them might make the difference between members of your family living or dying in a long-term emergency. Treating Depression Without Medications after a Major Disaster. This entry was posted in food storage, medical, Sanitation and tagged flies, Howard, Insect Control, mosquitoes, Window Screens. Bookmark the permalink. From personal experience, use the metal screening. It lasts longer than the nylon garbage, doesn’t rip as easily, and be used for other projects such as dehydrator trays. I’ve also noticed that screen doors are almost none existent. However, I have seen a few products which allow for temporary screen doors that are usually attached by Velcro or other type product. While I was growing up (in Houston, TX), and before we had A/C, we used an attic fan that would draw in the air from outside. Window screens and doors were a necessity. I repaired many of these screens and repair kits were common at any hardware store. I agree that we should really need to have a proper sanitation in order to avoid any diseases that may inflicts us through disease-carrier insects like mosquitoes. As the adage say, prevention is still better than cure that is why we must learn the proper sanitation in our respective homes. Thanks for sharing this one. Keep posting!